Hail, Caesar! 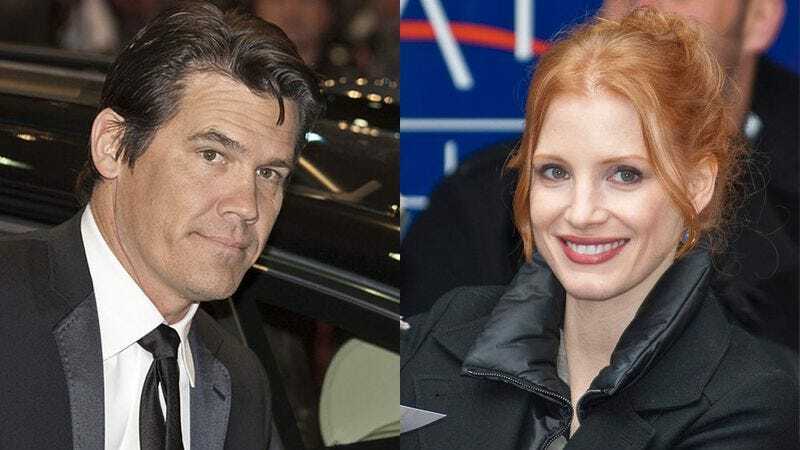 star Josh Brolin revealed on Conan this week that he and Jessica Chastain will portray George Jones and Tammy Wynette in an upcoming biopic of the once-married country music legends. The film, tentatively titled No Show Jones, will likely focus on Jones’ career-damaging battles with alcohol and cocaine, and the havoc they wreaked on his six-year marriage with Wynette. Despite all the troubles and missed performances that earned Jones the nickname that inspired the movie title, his celebrity and talent were so large that he managed to record 13 No. 1 country hits, including three with Wynette (“Golden Ring,” “Near You” and “We’re Gonna Hold On”) while still struggling with his addictions. Brolin recounted to O’Brien a (only partially apocryphal) funny-not-funny story of how psychologically wrecked Jones was in the midst of his highest celebrity.